Police are investigating a theft at a church at Saddle Brook. SADDLE BROOK, New Jersey (WABC) -- Donations from Christmas weekend were stolen from a church in New Jersey. 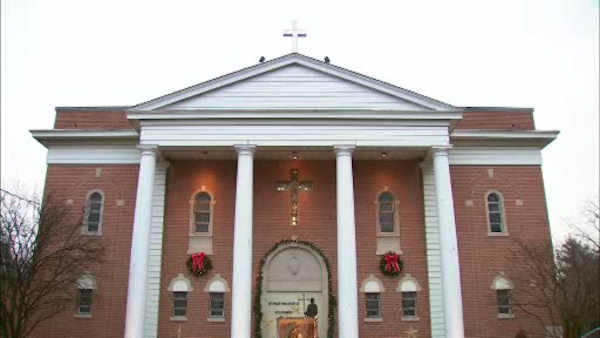 Police in Saddle Brook are investigating the burglary at Saint Philip the Apostle Church. The thief broke a stained glass window overnight to gain entry and steal the money. It's not clear how much cash and change there was in the poor boxes. "This is for the poor and needy of the parish," said Rev. Theemas Pankraj. "It goes sometimes for rent, electricity, water bills, we help them with that." Investigators are reviewing surveillance video to help solve the crime.